You have to look at this shirt up close to really GET it. TM = Tim, for example. I think PB should be peanut butter. This shirt came from ordering a Woot Grab Bag. You never know what you’ll get! My mom made this Santa Claus back in the 1970s. His belt seems to have gone missing but otherwise, he is still in great shape! I appreciate all the hard work that went into making his outfit so perfect. Even his present bag is just right! 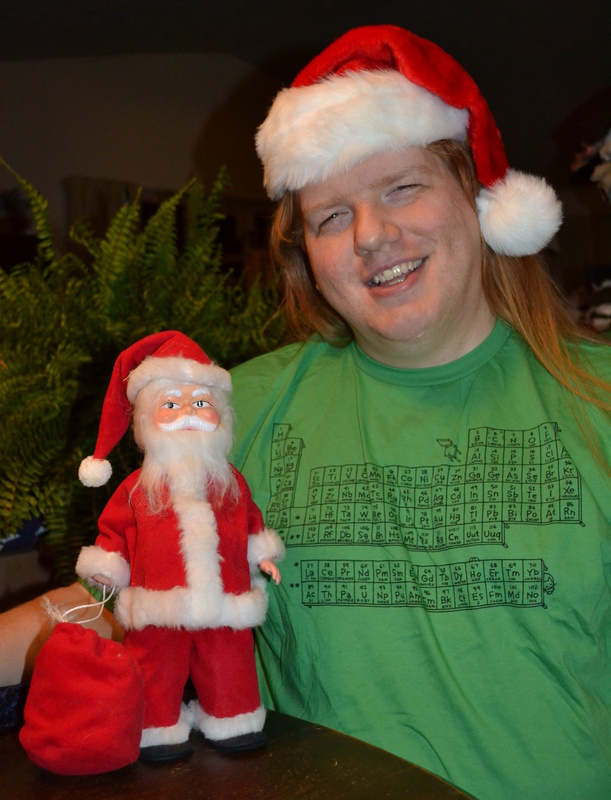 I couldn’t resist putting Santa in his joyful red suit next to Skotte in this snappy green shirt.